The Supreme Court today sought the reply of Central Bureu of Investigation in a plea by DSP A K Bassi challenging his transfer to Port Blair ordered by interim Director Nageshwar Rao on January 11. Rao had earlier transferred Bassi to Port Blair on October 24, immediately after taking charge following the ouster of Alok Verma on October 23. When Verma took charge as Director on January 10 after the SC quashed his removal, he revoked the transfer order of Bassi. 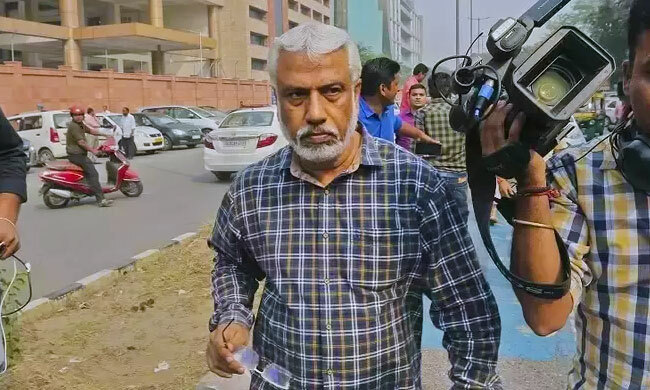 But it was short-lived, as Verma was shown the exit door on the night of January 10 itself, and the charge was given back to Rao, who again transferred Bassi to Port Blair. In the petition challenging transfer, Bassi contends that the impugned order is vitiated by mala fides and non-application of mind. He asserts that the order is violative of the Supreme Court judgment in Alok Kumar Verma vs. UOI & Anr., which gave Verma liberty to make a representation to the officials regarding his transfer. Mr. Bassi claims that "he is being victimised by the present 'acting/ interim' Director-CBI - Shri M Nageswara Rao/Respondent No.2, who represents certain elements within the CBI, who did want the Petitioner herein to conduct a free and fair investigation in the Asthana FIR. It was Shri M Nageswara Rao who had passed the infamous transfer order dated 24.10.2018 of the Petitioner herein and it is again the same Shri M Nageswara Rao at whose behest and direction the instant impugned transfer order has passed, in utter disregard to the judgment of this Hon'ble Court in Alok Verma supra."